Our soups are made fresh daily and are served with tortillas upon request. Fish, shrimp, crab legs, mussels and octopus soup. Shrimp broth, with shrimp, zucchini, carrots & cilantro. Fish, zucchini, carrots & cilantro soup. Meat ball soup with vegetables. With shredded chicken on request. Flour tortilla with cheese and shrimp. Garnished with guacamole & sour cream. Cooked in salsa mix and served with corn chips. A crispy flour tortilla topped with beans, beef or chicken, cheese, fresh guacamole, sour cream, onions, cilantro and tomatoes (jalapenos upon request). Fresh Chips, beans, melted cheese, fresh guacamole, onions, tomatoes, cilantro, and sour cream. 4 crispy rolled corn tortillas with your choice of Beef, Chicken, or Potato. Served with Fresh Guacamole & Sour Cream. Shrimp cocktail with fresh tomatoes, onions, cilantro and fresh slices of avocado accompanied with our special sauce. Shrimp and octopus in our homemade cocktail sauce with fresh tomatoes, onions, cilantro and avocado. Create your own combination. All of them are served with beans and rice. On request salad or fries instead of beans and rice. Fresh lettuce, shredded carrots, tomatoes, and dressing of your choice. Flour crispy shell filled with pinto beans, rice, lettuce, and cheese. Served with sour cream and guacamole on the side with your choice of chicken or steak. Fresh lettuce, mixed with tomatoes, cucumber, carrots, and topped with jack cheese, fresh avocado, and your choice of grilled shrimp or Mahi-Mahi. Fresh lettuce, slices of avocado, carrots, tomatoes, cucumbers, and cheese. Fresh lettuce, mixed with tomatoes, cucumbers, carrots and topped with fresh slices of avocado, jack cheese and salmon. All dishes are served with beans, rice and tortillas. On request salad or fries instead of beans and rice. De la Olla beans upon request. Grilled breaded chicken or steak. Garnished with fresh guacamole and slices of fried potatoes. Grilled steak with onions and peppers. Garnished with fresh guacamole. Steak grilled to perfection with onions, peppers, shrimp and garlic. Garnished with fresh avocado. Filled zucchini with your choice of shrimp. shredded chicken or beef, fresh onions, peppers and tomatoes. Topped with melted cheese. Grilled steak to perfection, topped with grilled onions and peppers. Accompanied with one suiza chicken enchilada. Served with guacamole and sour cream. Tender lean pork marinated and fried to perfection. Garnished with jalapenos, onions and cilantro. Lean pork in a mild red California dry chili sauce. Lean pork cooked in our delicious mild tomatillo sauce. Garnished with cilanto and onions. Whole fish, marinated in our special lime sauce and then fried. Garnished with fresh lettuce, slices of avocado, tomatoes and limes. Pan fried shrimp with butter, tomatoes, onions and peppers. Garnished with fresh lettuce, tomatoes, slices of avocado and limes. Filet of fish prepared any style (ranchero, garlic, or a la diabla). Garnished with fresh lettuce, tomatoes, slices of avocado and limes. Strips of Mahi-Mahi cooked in butter with fresh garlic. Garnished with lettuce, tomatoes, slices of avocado and lime. Pan fried shrimps with butter in hot red sauce. Garnished with fresh lettuce, tomatoes, slices of avocado and lime. Shrimps cooked in butter and fresh garlic. Garnished with lettuce, tomatoes, slices of avocado and lime. Breaded filet of fish with slices of fried potatoes. Garnished with fresh lettuce, tomatoes, slices of avocado and limes. Breaded shrimp garnished with fresh lettuce, tomatoes, slices of avocado and limes. Cooked to perfection and served with your choice of Mexican vegetables or beans and rice. Strips of Mahi-Mahi cooked to perfection topped with our delicious red sauce and olives, garnished with cilantro. Grilled chicken breast topped with our house made chile verde sauce and melted cheese. Served with fresh pico de gallo and guacamole. Juicy grilled chicken until perfectly tender with onions, peppers and potaotes. Topped with our Chef's Hot Chopotle sauce. Cicken breast in our delicious homemade mole sauce. Grilled chicken breast to perfection with onions and peppers. Garnished with fresh guacamole and pico de gallo. Juicy grilled chicken until perfectly tender with onions, peppers and potatoes. Topped with our Chef's medium hot Rosa's sauce. Two enchiladas filled with shrimp cooked in our delicious red sauce with onions and tomatoes. Served with sour cream. Topped with melted cheese, avocado and onions. Two enchiladas filled with chicken. Topped with our home made mole sauce. Garnished with avocado, sour cream and onions. Two chicken, bef or cheese enchiladas topped with our delicious medium hot Rosa's salsa. Garnished with guacamole and sour cream. Two chicken enchiladas topped with our delicious green sauce. Garnished with guacamole and sour cream. Two cheese enchiladas cooked in our delicious homemade green sauce. Topped with grilled chicken breast. Garnished with fresh guacamole and sour cream. Two chicken, beef or cheese enchiladas topped with HOT chipotle roasted tomatoes sauce, jalapeno and garlic sauce. Two chicken, beef or cheese enchiladas topped with our delicious homemade red sauce. Garnished with guacamole and sour cream. One crisy corn tortilla topped with fish (ceviche). Garnished with avocado and limes. One crispy corn tortilla topped with shrimp (ceviche). Garnished with fresh avocado and limes. Crispy corn tortilla topped with beans and chicken or beef, fresh lettuce, tomatoes, guacamole, sour cream and cheese. Flour crispy shell filled with beans, beef or chicken, fresh lettuce, cheese, sour cream and fresh guacamole. Crispy corn tortilla filled with meat of your choice, lettuce and cheese. Soft corn tortilla filled with steak, cilantro and onions. Soft corn tortilla filled with grilled shrimp and fresh pico de gallo. Soft corn tortilla filled with carnitas, cilantro and onions. Soft corn tortilla filled with mahi-mahi, cabbage, fresh pico de gallo and tartar sauce. Soft corn tortilla filled with grilled chicken breast, lettuce and cheese. Wrapped in a soft corn tortilla filled with cabbage and garnished with our delicious home made pico de gallo. Breaded Tilapia on corn tortilla with Tano's cabbage, fresh Pico de Gallo & tartar sauce. Wet, add $1.75. With beans and rice add $2.50. Two flour tortillas filled with beans, rice, beef or chicken, fresh lettuce, tomatoes, salsa, guacamole, sour cream and cheese. Flour tortilla filled with beans and cheese. Flour tortilla filled with pinto beans, rice, grilled chicken breast and pico de gallo. Garnished with fresh guacamole and sour cream. Flour tortilla filled with carne asada, french fries, cheese, guacamole, tomatoes & little bit of raw onions. Flour tortilla filled with beans, chopped steak with onions, peppers and pico de gallo. Flour tortilla filled with beans, pork, topped with green sauce, cheese, guacamole and sour creams. Served with beans and rice or french fries. With soft drink add $1.00. Choice of taco, burrito, enchilada, 2 taquitos or quesadilla. Served with beans, rice and tortillas. On request hash browns instead of beans and rice. 2 sunny side up fried eggs on 2 corn tortillas. Topped with our delicious Homemade Chile verde. .
2 sunny side up fried eggs on 2 corn tortillas. Topped with rancheros sauce. Scrambled eggs with beef or chicken, onions, tomatoes and peppers. Scrambled eggs fried with ham. 2 sunny side up eggs on fried tortillas. Topped with our delicious homemade green and red sauce. 2 scrambled eggs with onions, tomatoes, cilantro, and peppers. Corn chips with sauce, onions, oregano and cheese. 2 eggs, 4 pancakes, ham, 2 strips of bacon, 2 sausages and hash browns. Flour tortilla filled with scrambled eggs, hash browns, cheese, beans & pico de gallo. Cooked and seasoned with butter. Perfect with your favorite dish. No sour cream or guacamole included. Catering package for a group! Only $8/ per person. Choose two meats. Comes with Beans, Rice, Tortillas, Chips and Salsa. Shredded beef, chicken or cheese. Shredded beef, chicken or carnitas. You may request medium bean and cheese only. Shredded beef, chicken or pork. Shredded beef, chicken or potato. Create your own combination. All combos served with beans and rice. (PORK IN GREEN SAUCE) Lean pork cooked in our delicious mild tomatillo sauce. Garnished with cilantro & onions. Served with rice, bean & tortillas. 2 Rolled Flour tortillas filled with meat of your choice (beef or chicken) beans, rice, lettuce, tomatoes, salsa & cheese. Served with Sour cream & guacamole on the side. Two enchiladas filled with chicken . Topped with our delicious mole sauce. Garnished with onions, sour cream and slices of avocado. Shrimp or fish perfectly cook in lime juice, onions, cilantro & tomatoes. Served with slices of avocado and limes. Two chicken enchiladas topped with our delicious homemade green sauce. Garnished with guacamole and sour cream. Two potato enchiladas topped with our delicious homemade red sauce. Garnished with guacamole and sour cream. Carnitas, pinto beans, rice, pico de gallo and cheese. Beef, chicken, carnitas or potato tacos. The success of Ricardo's Place or La Cocina de Ricardo is dedicated to the family tradition of excellence that began with Grandma Juana in Mixtlán, Jalisco, México. She was the main chef of her town and would prepare the food for small and large events, and devoted to making every occasion memorable. This tradition of thoughtfully prepared recipes was passed to Mamacita Alicia who brought all of this knowledge to Southern California some 40 years ago. Along with two brothers, Arnulfo and Mario, and eight children: Rosa, Raquel, Ricardo, Bertha, Estela, Alejandro, Belén and Minerva. Mamacita Alicia made the journey to Southern California and was ready to introduce her unique and flavorful culinary style to the growing community of Orange County. Ricardo, the third oldest child and an entrepreneur since an early age, encouraged Mamacita Alicia to share her recipes with the Community of Orange. As an alumni of San Clemente HighSchool, Ricardo knew that the citizens of this once small town were in need of excellent and affordable Mexican cuisine. 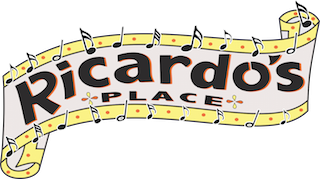 And Ricardo's Place was born, opening it's doors on April 16, 2003. Almost 40 years later, the recipes that Mamacita Alicia brought to Southern California continue to remain as delicious as the day Grandma Juana created them back in Jalisco, México. The entire family is dedicated to maintain a clean establishment, the best, healthiest and most affordable Mexican food around. We thank you for your business and consider you an important part of our family tradition.